Jimmy Villanueva came to know the Lord when he was 17 years old. Having been brought up in a musical family he quickly aspired to be a full time musician. He started traveling and played at multiple venues such as universities, churches, concerts, coffee shops, conferences, and camps. By the time he was 23 he had produced four albums in which thousands of copies have been sold. While Jimmy was going to school, he was the youth worship leader and associate worship leader at Abundant Grace Community Church in Edinburg, TX. During the fall semester of his junior year in college he competed in a national Christian music talent search called CATS (Christian Artist Talent Search). He won first place in the male contemporary category for the southeastern part of the United States. As a finalist he competed on national prime-time television on the Inspiration Network. The competition opened up doors for him to travel and minister through out Texas, North Carolina, South Carolina, and Nashville, Tennessee. While in Nashville, he worked with Butterfly International Distribution, a record label founded by Bob Carlisle. He got to sit in on writing sessions and work close hand with many artists and producers such as Greg Long from Avalon, and Jose Garces, the A & R director for the Latin Christian Label, One Voice. His experiences through out the country opened a door for him to be the Worship Leader of Valley Fellowship, a church plant in the Rio Grande Valley. Jimmy continued to travel and minister throughout the country during his tenure at Valley Fellowship. During a ministry trip, Jimmy was privileged to lead worship at a week long revival at First Baptist Church of Fort Worth. The keynote speaker for the event was the founding pastor of TSF. 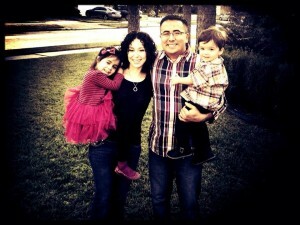 Jimmy and his wife felt led by the Lord to move to Richmond, TX in December of 2006 to be apart of The Sanctuary.